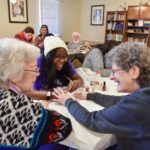 What is Service Learning at High Point University? 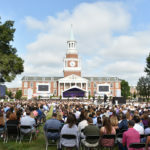 Service Learning at High Point University is an experiential and interdisciplinary teaching strategy. It intentionally aligns and integrates a course’s academic objectives with meaningful community service so the academic goals drive the service and the service enhances the academic goals. Service Learning courses especially emphasize the ethical dimension of the subject matter and the subject’s relevance to the students’ lives. The courses add an experiential aspect that deepens students’ academic experience while benefiting our communities, with the aim of developing greater understanding across cultural, racial, and economic barriers and educating students for lives of civic and social responsibility. It does not automatically fulfill a General Education Curriculum requirement. Though some SL courses may fulfill the Ethics Requirement or other requirements in the Gen. Ed., the majority of them will not. The “SL” course designation is a separate process from the Gen. Ed. process. A required 25 hours in which students partner with community organizations selected by the professor or participate in a project that addresses a community need and is developed in conversation with the professor and community representatives. Professors need the permission of the Director of Service Learning to do less than 25 hours of service, but all courses must have at least 15 hours. All students in the course must be involved in the Service Learning experience – it cannot be only a section of the course. Assessments that require structured reflection and an engagement with both theoretical course texts and service learning experiences, using reflective models like the Kolb model (not just journaling). Cannot be taught by a faculty member who is teaching a full course (3 or 4 credit) overload.